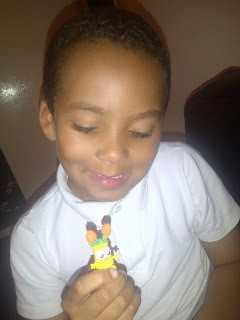 Yesterday I announced I was delighted to be one of the eight bloggers across the UK introducing a new Moshi Monster each and everyday from Series 8 which are all being released on the 18th of October, yesterday we introduced you to Marty the Mouthy Mogul, now its time for day 2, and another brand new Moshling to introduce! 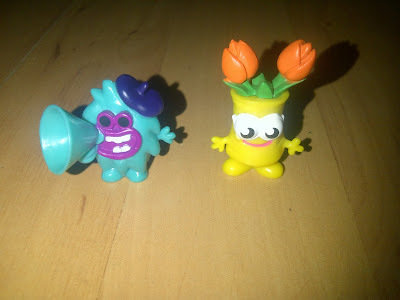 Don't forget that one of you lucky people will have the opportunity at the end of the countdown to win a complete set of Moshi Monsters Series 8 characters right here on Unique Young Mum! 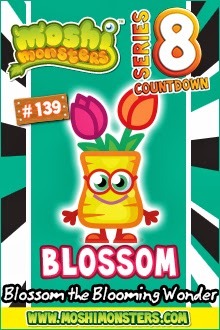 Blossom is a optimistic, humble and welcoming Blooming Wonder, she is one of the miraculous Moshlings who are infused with enchanted fertiliser who can breathe life into any bloom, even if it is dead! Blossom likes slug pellets and sunshine (me & Spud are both with Blossom on this one - sunshine!) and dis-likes dirty water and thieving bee's! Blossom has joined Monty in the series 8 Moshling countdown and we can't wait to see what day 3 brings tomorrow!